Snare and tom microphone engineered for close miking of snare and toms with a supercardioid design for maximum sound isolation. The capsule of an end-address microphone is mounted at one end of the microphone. Supercardioid microphones offer a narrower pickup than cardioids and a greater rejection of ambient sound. But they also have some pickup directly at the rear, hence it is important to place monitor speakers correctly. Supercardioids are most suitable when single sound sources need to be picked up in loud environments. They are very resistant to feedback. Snare and tom microphone for close miking. Equipped with shock mount for sound isolation, it features a dynamic locking stand adapter for simple set-up, a steel mesh grille for durability, and a neodymium magnet for high signal-to-noise ratio. What is the Beta 56A best suited to? It’s a premium microphone that is ideally suited for the professional musician looking to mic up their snare and toms, either on stage or in the studio. It can also be used with other instruments such as guitar and bass amps, brass and a saxophone amongst others. What are the Charactaristics of the Beta 56A? 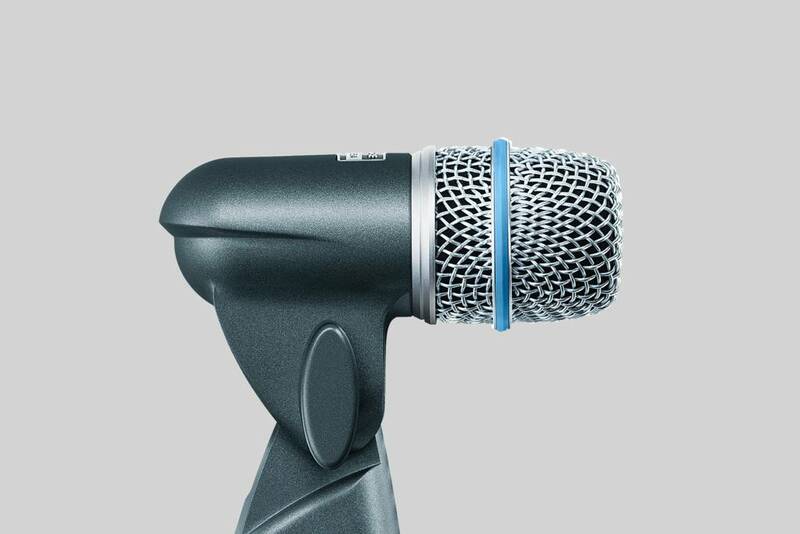 The Beta 56A has a uniform supercardioid pattern for high gain before feedback and a superior rejection of off-axis sound. It includes a Neodymium magnet which gives the BETA56A a high signal-to-noise ration output. The built-in stand adaptor had a dynamic locking system and XLR connector which simplifies setup and provides greater flexibilty.